A bad year for housing got even worse in December as sales of existing homes plunged to their lowest level in over three years. 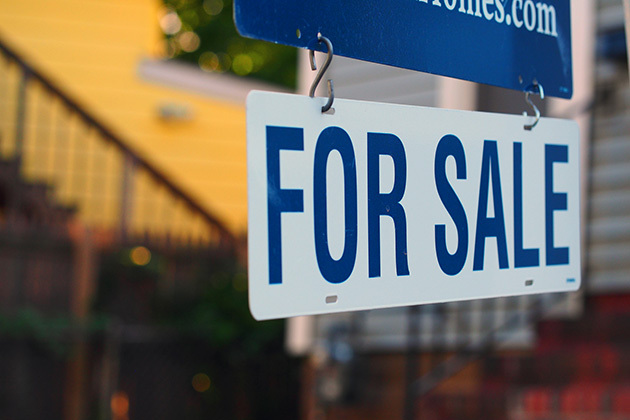 Annual existing home sales ended the year down nearly 11 percent. Due to the government shutdown, official figures on sales of new homes are not yet available, but some industry sources project those, too, fell in December. Following two months of modest growth, existing home sales (by volume) tumbled 6.4 percent in December, compared to November, hitting their lowest point since September 2015. Although December traditionally is a slow month for home sales, that was nearly twice the size of last year’s month-over-month decline. Sales were down across all regions and in all sectors. Existing single-family home sales slid 5.5 percent from the previous month, while sales of condos and co-ops nosedived by almost 13 percent. Real estate website Redfin announced its housing market analysis, which includes all home sales, also shows an 11 percent annual dive in December, the fastest year-over-year drop in two-and-a-half years. Zillow Research forecasted a more modest 2.6 percent dip in existing home sales from November to December, for a 6.8 percent annual decline. In the absence of U.S. government data, it projected sales of new homes would end the year down 2.2 percent from December 2017. Signs that demand was slowing appeared early in December. The National Association of Realtors (NAR) reported that the number of pending contracts on existing homes in November reached its lowest mark since 2014. Fannie Mae said its Home Purchase Sentiment Index (HPSI) retreated 2.7 percent after an uptick in November, largely due to a 12 point drop in respondents who believe now was a good time to purchase home. Mortgage applications in the month of December decreased 13 percent from November, falling 6.1 percent from the year before. After remaining fairly constant for most of the year at around 68 to 70 points, the National Association of Home Builders’ (NAHB) Housing Market Index (HMI), which measures builder confidence, sank by 8 points in November and then slid another four points in December, to its lowest level since May 2015. Despite the dismal showing in December, builders, realtors, and industry experts are optimistic that the market will improve in the coming months. The rise in home prices has been gradually slowing down, and more inventory is starting to come onto the market. In addition, mortgage rates in recent weeks have dropped by around one-half of a percent, and at present the Federal Reserve is holding off on increasing interest rates. According to the Mortgage Bankers Association, mortgage applications for the week ending January 11 increased 13.5 percent from the previous week. The NAHB said the reversal in mortgage rates had stabilized builder confidence, lifting its January HMI figure by 2 points, with builders reporting slight upticks in buyer traffic, current sales, and expectations for future sales. Demand for housing remains strong. Some challenges still remain, however. Provided the economy and employment continue their positive trends, eventually interest rates will begin to creep upward, and so will the cost of mortgages. Softening home prices will help some prospective buyers, but not the majority of entry level prospects, for whom rising rents, current home prices and the cost of borrowing are barriers to purchasing a home. How conditions develop over the next couple of months heading into the spring homebuying season may either redirect the market onto a positive growth trend or forebode another year of erratic gains and losses.